Will and Kate’s wedding wasn’t the only reason the week of April 29th was exciting for all of us at Bridal Styles. 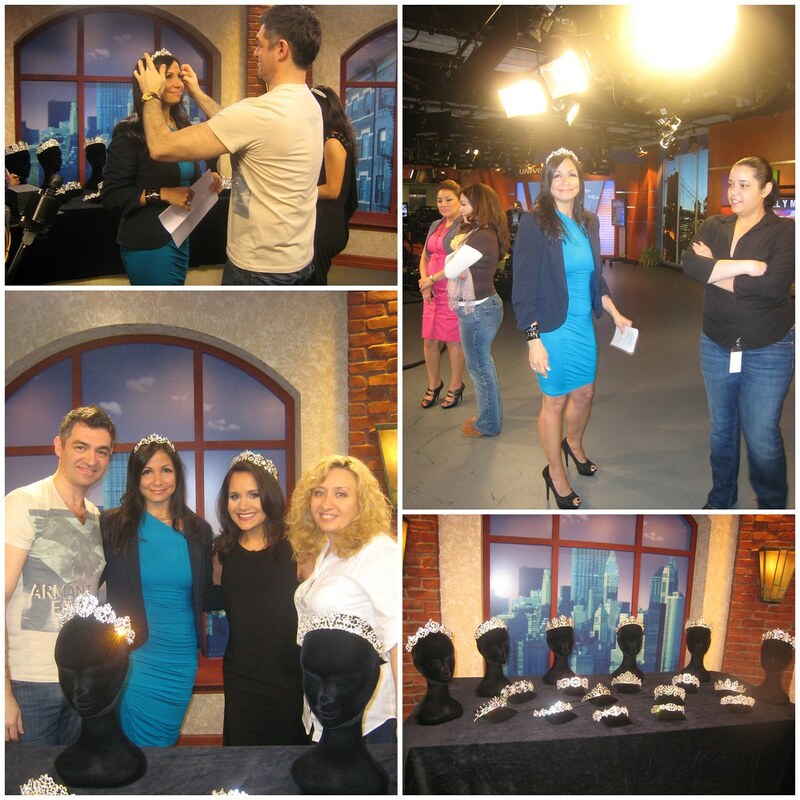 We were featured on the “Al Despertar” show in a story about tiaras and royal crowns! When Univision called to ask us to be included in the piece, they told us Bridal Styles was chosen because we’re “experts” on tiaras and have the nicest collection. That totally made our day. 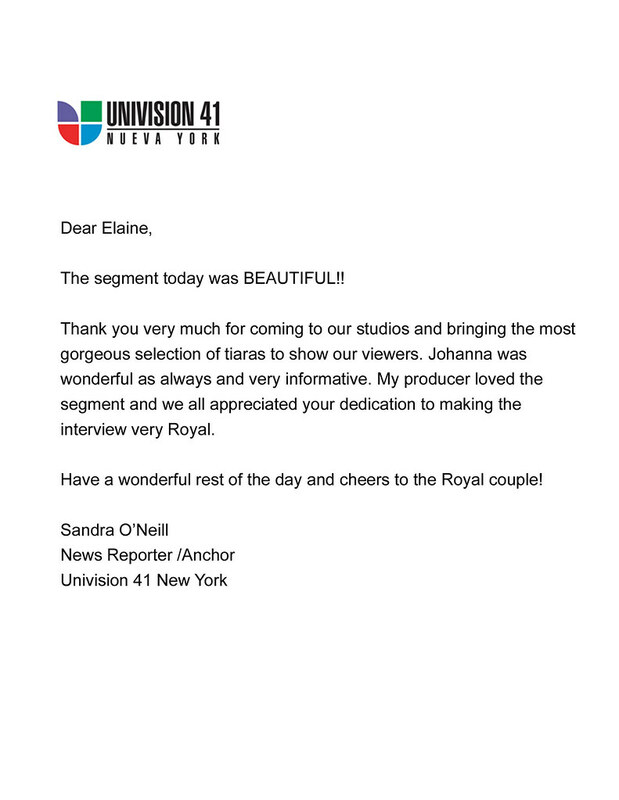 Watch Univision’s segment on tiaras featuring Bridal Styles Boutique here! The morning of Wednesday, April 27, we got up at 4am to arrive at the studio for Univision’s 5:30am morning show. Though it was early, we were so excited that staying awake was no problem. On set, because we don’t speak Spanish, Bridal Styles Boutique was represented by Johanna Torres, a well-known fashion and lifestyle reporter for many Spanish speaking shows. It was so much fun to be a part of the show. 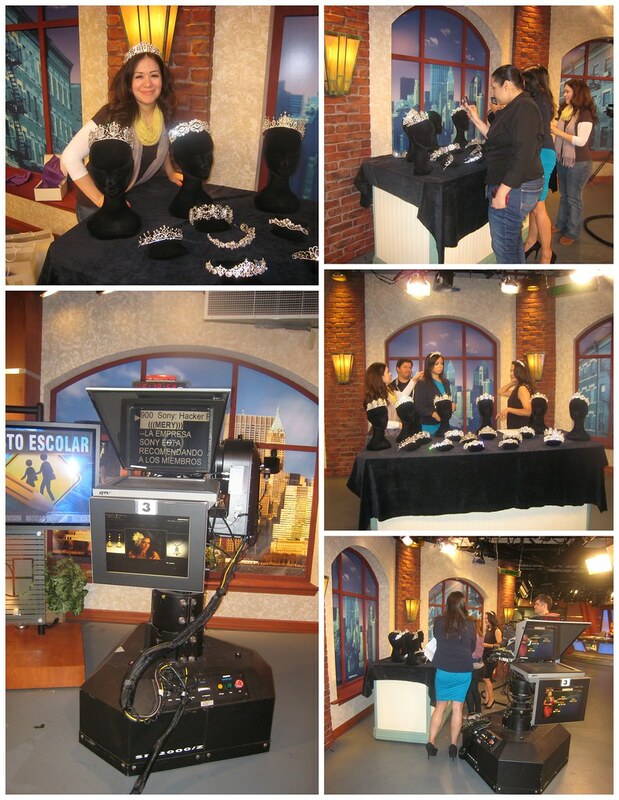 As soon as the segment ended, women from all over the studio, both on camera and off, were trying on tiaras. Everyone was in the “royal” mood! To see the bridal headpieces and tiaras featured on Univision, visit our bridal accessory boutique in Brooklyn. This entry was posted on Tuesday, May 17th, 2011 at 10:55 am	and is filed under Press. You can follow any responses to this entry through the RSS 2.0 feed. You can skip to the end and leave a response. Pinging is currently not allowed.